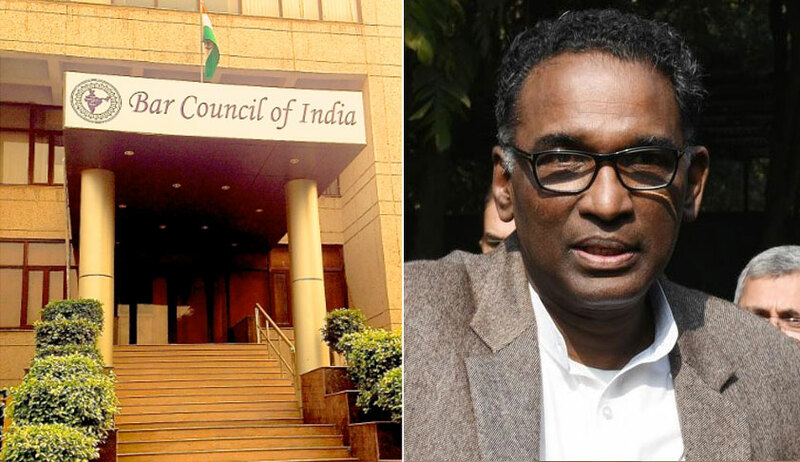 Two days after Justice J. Chelameswar officially retired, the Bar Council of India (BCI) has issued a release condemning him for the remarks made by him during several interviews given to different media houses. The release begins by preaching the value of "self-restraint" to Judges, and asserts that these statements "cannot be tolerated, accepted or digested by the Advocates including the rest of the countrymen". The release especially deprecates the alleged use of "words like bench fixing" by Justice Chelameswar during one of the interviews. Curiously, the term was used during an interview, but by India Today's Consulting Editor Mr. Rajdeep Sardesai, and in response, Justice Chelameswar had repeatedly and expressly refused to use words such as "bench fixing". The release in fact goes on a step further and reminds Justice Chelameswar of instances where listing of matters before him would have amounted to bench fixing. It states, "Such instances have been repeated not once but on two-three occasions. Justice Chelameswar did not do so and, in fact accepted and agreed to hear certain matters himself which led to the beginning of a wrong practice. Had such irregular or unlawful orders been sought to be set aside by the Chief Justice of by some other judge then there would have been no harm done." This was a jibe at the high voltage drama at the Supreme Court last year in connection with the medical college bribery case. A Bench headed by Justice Chelameswar had ordered setting up of a larger bench, comprising five senior-most judges, to hear a PIL concerning the scam filed by the NGO Campaign for Judicial Accountability and Reforms. The order was however reversed by a Bench headed by the CJI, after a heated exchange between Advocate Prashant Bhushan and the CJI in open Court. The release also makes reference to allegations of Justice Chelameswar taking a political stand, as CPI leader D. Raja met him on the day of the January 12 press conference. In his interview with Mr. Sardesai, Justice Chelameswar had responded to these allegations saying that what needed to be looked into was the other closed door meetings happening with the people in power. He had said, "The day I held the press conference along with other colleagues, my tenure was a matter of few more weeks. It is not important who I met or D Raja met. We are not running the country. He is not in power. The more important question is- Who are the power holders or people who are running the country meeting behind closed doors?... I have not seen such closed door meetings happening but I have heard rumors." Responding to Justice Chelameswar's statements, the BCI release now reiterates there being ulterior motives behind holding the press conference, asking the Judge to first undertake a "self-introspection". The release adds, "The fact that Justice Chelameswar met CPI Leader and Rajya Sabha M.P. D. Raja immediately after his Press Conference, clearly deciphers the mystery and the motive behind the controversial statements being issued by Justice Chelameswar." The release then condemns the Advocates and Judges who have "attempted to misuse and malign the institution", and claims that they have "woefully failed". It further states, "It is the great fortune of the country that 99.9 of the legal fraternity and the judges have seen through this ulterior motive and mindset and such people who have attempted to bring disrepute to the institution for their vested interests, have had to suffer a setback at each step". It ends with a word of caution to all stakeholders to work towards upholding the dignity of the institution instead of lowering it, stating, "The judiciary of the land is by far the holiest and the most powerful institution and in which even today, each citizen of the country has full and unflinching faith. Any and every judges should first do a self introspection and look at himself/ herself, their actions, deeds before making or issuing any statements against the judiciary and they should make concerted efforts to safeguard and maintain the dignity and decorum of the institution."